Home / Food / Racks / Racks Review: Love their Baby Back Ribs! 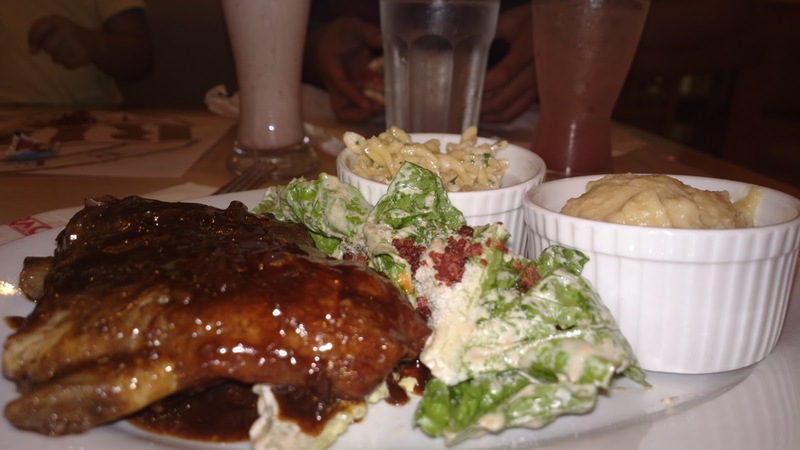 Racks Review: Love their Baby Back Ribs! I’m a big fan of baby back ribs but I can never consume a full size so I always end up with a half slab instead. And one of the best places to dine for baby back ribs is Racks! The baby back ribs meal at Racks is tender to the bone. I’m sure the meat had been previously marinated using unique ingredients. It’s even more appetizing with a special sauce prepared only at this restaurant. Even if I’d be full with this meal alone, I can still finish the side dishes served along with the ribs, particularly the mash potato. I’ve had a taste of mash potatoes from other restos but this one’s different. I can eat a big bowl if they serve me one. As for the ambiance, there’s a western vibe in a spacious dining area. You’ll also appreciate that the kitchen is almost naked; you can see them prepare your meal at least from one section. Service is just as pleasing as the meals and how they are prepared. As for the prices, you may have to shell out twice as much as the cost of fast food meals. But the delectable food will be definitely worth the price. For more information including branches, menu, delivery, catering services, career opportunities, and more, visit www.racks.ph.